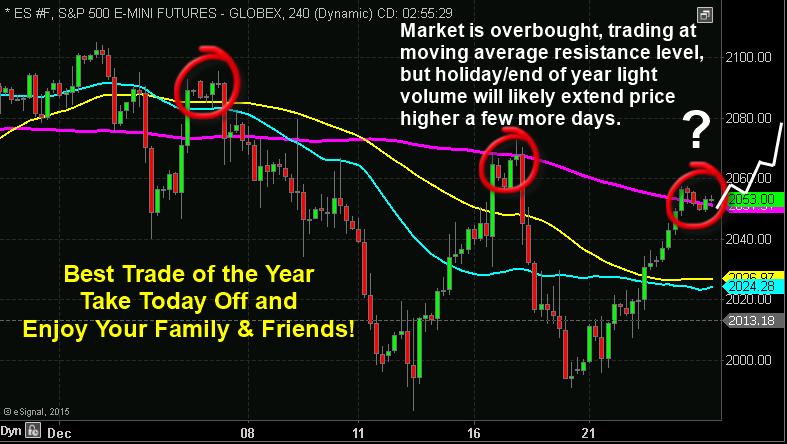 On December 23rd we closed out a nice winning trade in XLE energy sector. If you have not yet closed the trade can should do so locking an even larger gain of 4-5% return in only a few days. Attached are couple charts that show where the market is currently trading with my short term analysis and why XLE position was closed yesterday. The market is primed for a sharp correction which may start Monday and if possible, we will take action, but volume will likely remain light for the rest of the year and first couple days of January, so the top may drag out a few more days. 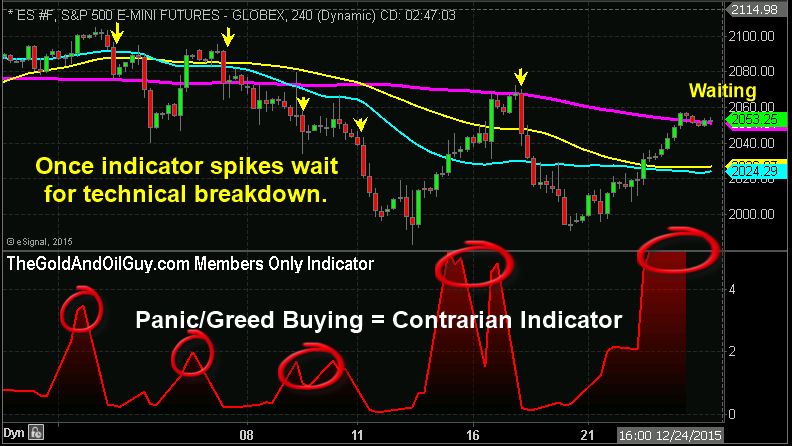 Let’s wait for a technical breakdown first before buying inverse ETFs. I would like to thank all my followers and subscribers for their support and kind words throughout the year. 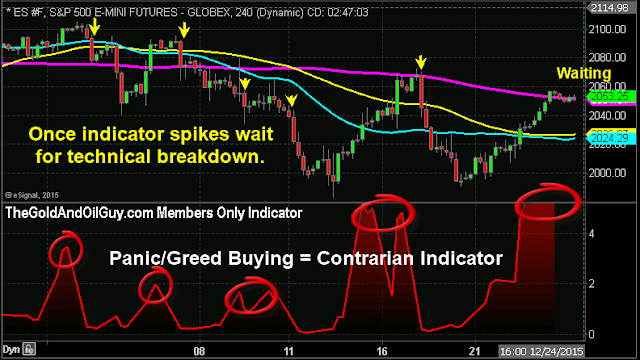 It has been an extremely difficult market to trade with the broad market trading in a Stage 3 Distribution pattern. Hedge funds, mutual funds and those who hold individual stocks in their portfolio are all down sharply for reasons I have explained and warned about all year. Early in 2015 I published a short book talking about how the US stock market was showing significant signs of a topping along with many timing cycles and events that were also unfolding and pointed to a new bear market that will likely last through 2016 and into 2017. Thus far, everything has unfolded as expected and once this Stage 3 Distribution pattern breaks down a new bear market will have confirmed and all kinds of huge trades will start to unfold. It will be a VERY DIFFERENT year than 2014 and 2015. HOLIDAY SPECIAL – GET 12 MONTH OF TRADE ALERTS FOR THE PRICE OF ONLY 6!